How do you organize a high-quality orienteering event? This guide will show you! 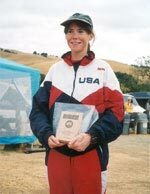 Copyright © 2003 Bay Area Orienteering Club. All rights reserved. Internet links are encouraged, but this material may not be further distributed, in electronic or printed form, without permission.